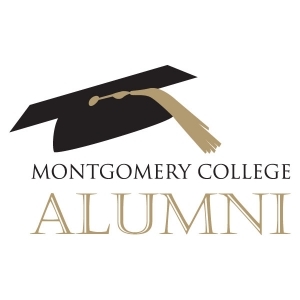 Montgomery College Alumni Association Student Life	 The MC Alumni Association serves graduates, former students, and friends through events, networking, alumni membership benefits, travel programs, and continuing education opportunities. Join the MC Alumni Association today! Visit http://www.montgomerycollege.edu/alumni for details. Embed "MC Alumni Association Membership - Carol Leahy" on your page. Embed "MC Alumni Association Membership - Jorge Urrutia" on your page. oin the MC Alumni Association today! Visit http://www.montgomerycollege.edu/alumni for details. Embed "MC Alumni Association Membership - Joyce Knight" on your page. Embed "MC Alumni Association Membership - Tookie Gentilcore" on your page. Embed "New York City Theatre Trip Fall 2009 - Alumni Association" on your page. The 2009 Montgomery College Alumni Awards, taped Friday, April 17 at Theatre Arts Arena, Montgomery College Rockville. Embed "Montgomery College Alumni Awards 2009 Part 2" on your page. Embed "Montgomery College Alumni Awards 2009 Part 1" on your page. Embed "2009 MC Alumni Awards Promo" on your page. Embed "Mobile Masterpieces #1" on your page. The Montgomery College Alumni Association is conducting a drawing for donated art to benefit our scholarship programs. We have collected a number of pieces of original art and are selling exactly that number of tickets. Embed "Mobile Masterpieces #2" on your page.